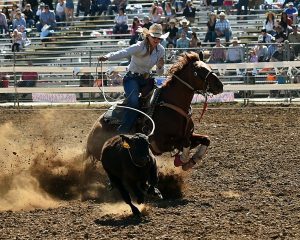 Billings, Mont.–The 43rd annual Montana Agri-Trade Exposition (MATE) provides three opportunities to win a grand prize February 14-16, 2019. Guests use their free tickets as entrance into the contests. Once the back of the ticket is filled out and signed, attendees can place them in the drawing drums. The final day of the MATE show, Saturday, February 16, the winners are randomly selected from each corresponding drawing drum. Need not be present to win. Must be 18 years of age or older. Winners are taxed on the retail value of the prize. The MATE Grand Prize is proudly provided by John Deere C & B Operations. This year the winner will take home a Z540M Zero Turn Lawnmower. This lawn mower includes air cooled gas, hydro hand lever, turf tires, manual foot deck lift, manual steering, and a seat with armrests. C & B Operations has John Deere locations in Billings, Miles City, Glendive, Culbertson, Circle, Plentywood, and Glasgow, Montana, as well as Sheridan and Powell, Wyoming. The John Deere booth at MATE has won the Best Booth Award for the past two years. Check them out in the Expo Center building at MetraPark at booth #47. The Home & Health Grand Prize is a special selection of high quality pork and beef from Project Meats. Projects Meats, also known as Ranch House Meats has over 50 years of experience and strive for the best customer service possible. Project Meats is located at 6608 Hwy 312 just outside of Billings and Ranch House Meats is located at 1313 Grand Ave. Suite #1 in Billings. The custom processing plant sells top quality meat products and will offer samples at their booth during the MATE show. Stop by in the Montana Pavilion at MetraPark at booth #676. The Ag Grand Prize is one ton of SweetPro mineral tubs from AgriBest Feeds. Agri-Best Feeds is the regional marketing arm of SweetPro Feeds based out of Walhalla, ND and Redmond Natural Trace Minerals in Redmond, UT. Their focus is to maximize animal health, forage utilization, and producer profits. SweetPro Feeds is known for its new nutritional technology (6 patents plus a proprietary digestive aide) of taking Distiller’s Grains (by-product of the ethanol process) stabilizing them in block or granular form and making them available to livestock producers across the nation and Canada. Learn about feed programs and enter to win at their booth #501 in the Expo Center. Along with these grand prizes many businesses have daily drawings and prizes at their booths. To see the full list of vendors and a map of the booths go to http://www.themateshow.com Free tickets are available at First Interstate Bank locations, Vendors’ businesses, the NILE Office, or online.